They say every cloud has a silver lining. And now you can go one better with precipitation in glorious technicolour using a clever technique to make oil pastels act like liquid. First off, get all the bits and pieces you need. Check out the ‘What You Need’ tab for the full list. 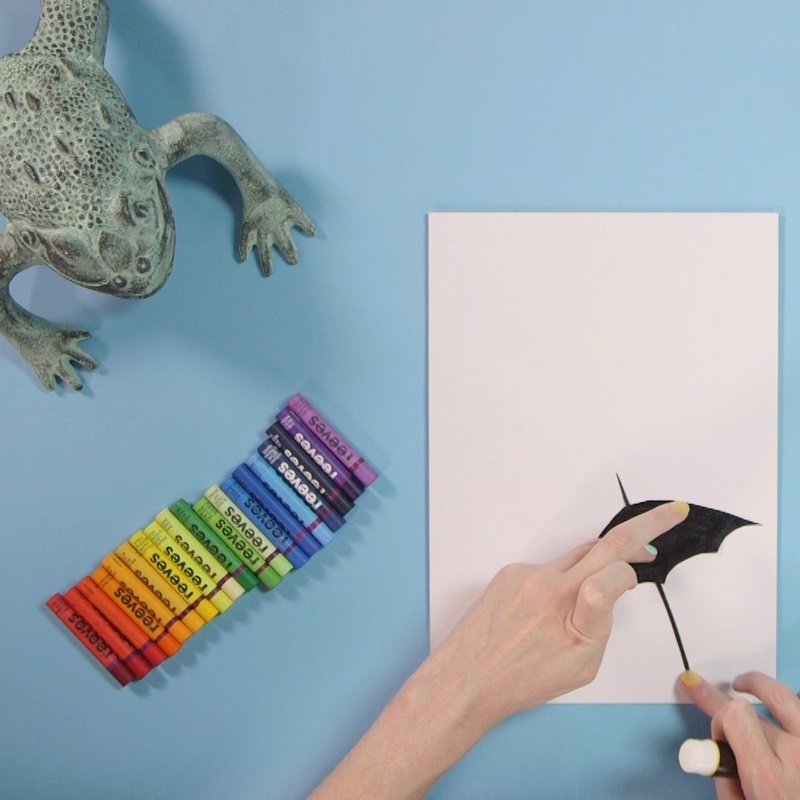 Now glue your cut out umbrella to your board in the bottom right hand corner. 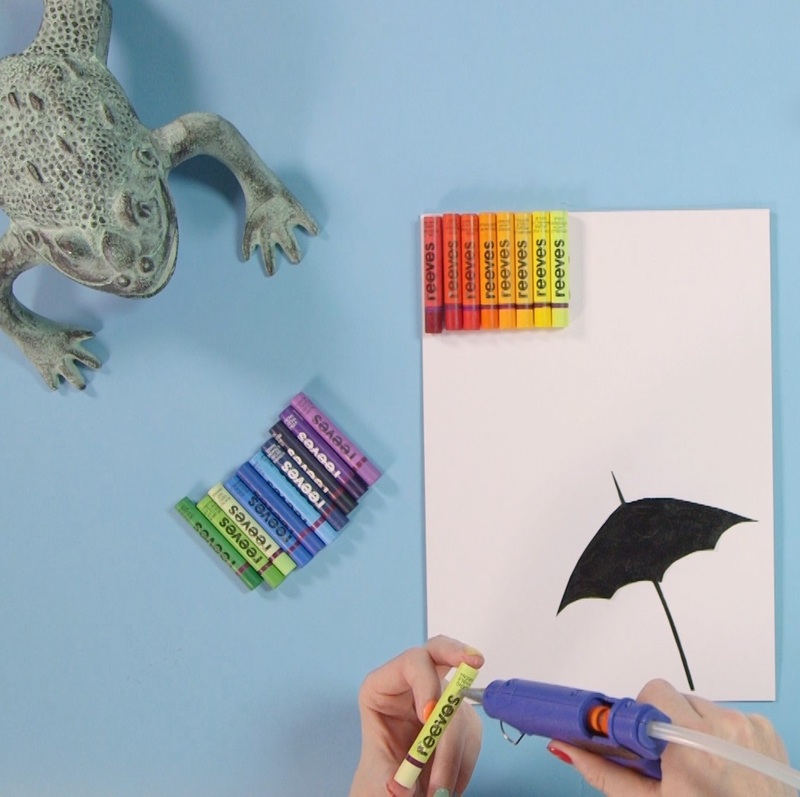 It’s time to assemble your rainmakers using your oil pastels. Fire up your glue gun, then firmly stick them across the top of the board in a spectrum of rainbow colours. Make sure the surface you’re using is nicely covered as this could get messy. Switch on your hairdryer and wait for it to heat up, then get melting. 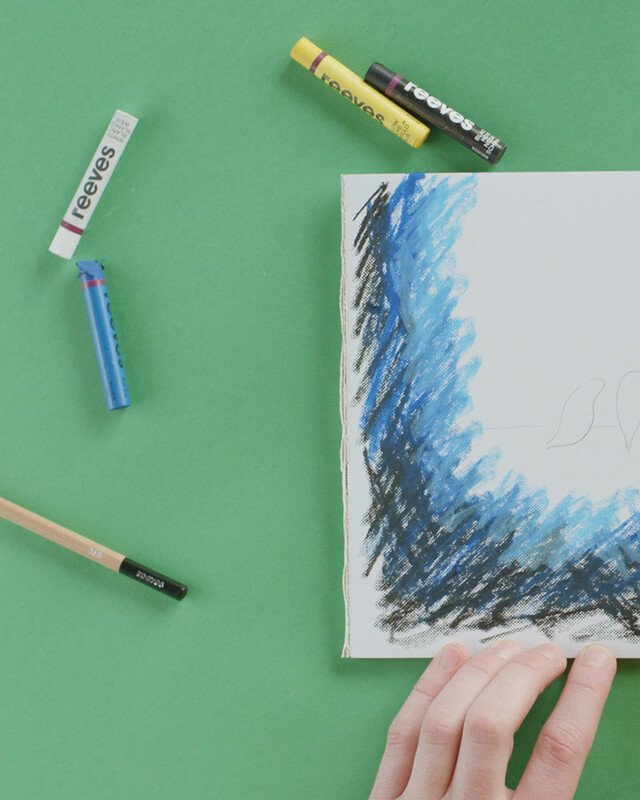 The oil pastels will turn into liquid and pour down the board. Use a glass to protect your brolly from this dazzling downpour. 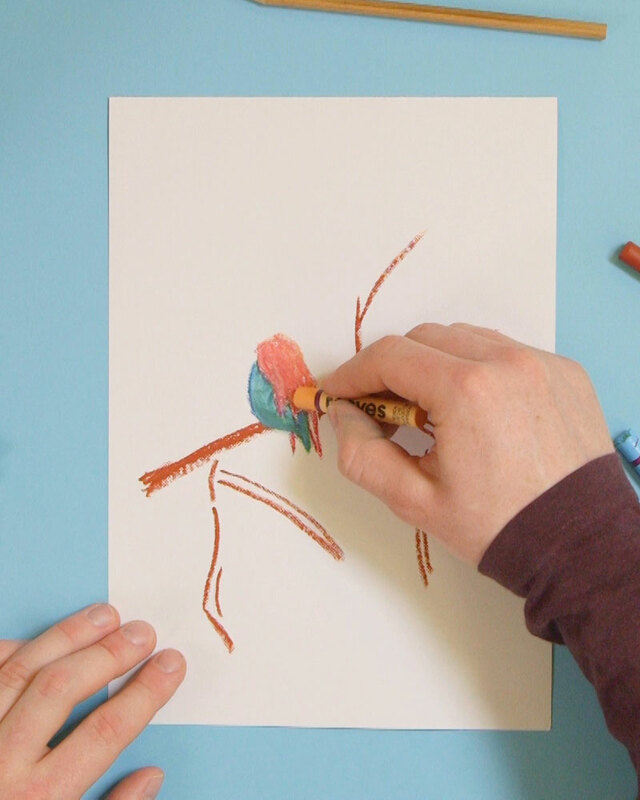 Wait for oil pastels to dry and admire your melty rainbow. The outlook is awesome! You can get all the colours of the rainbow and more in the Reeves oil pastel set (Barcode: 780804861990). Paint board sold separately (Barcode: 780804863581). You’ll find everything you need with a stockist below or from online.